But what I could wait for, endure for, was a moment. I could take the beating but not give up a weakness and wait for my moment. When the window came I would take it and not let up. This is the same with life folks. You can be at rock bottom but as long as you are protecting the vitals you just need that one moment to strike back against life. Things aren’t going your way, endure for that moment. And when that moment comes don’t be afraid to strike, because if you do you will change your life forever. If you don’t, you’ll find yourself wondering why life is still winning one, two, ten years later. It was the eve of my first ‘meet me at the flag pole’ fight, which never came to pass. The flag pole was a local park, and the night before my dad was giving me a few pieces of advice. There are a number of gems in that advice that will likely find their way into other. 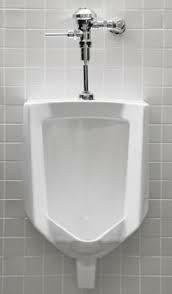 The piece I will discuss today was to not use the urinal if I needed to take a leak. I was roughly 12-13 at this point and time and had never given any thought to how vulnerable you are at a urinal. Pants down, hand occupied, back to the world. You’re just asking for a very embarrassing sucker punch. Though the fight never happened, the lesson remained. Whether it be a figurative or literal urinal I do my best in life to never expose my back to a threat. You can’t avoid every fight that comes your way, but it goes a lot better when you can see the hit coming.